SKU: CSP - 1302. 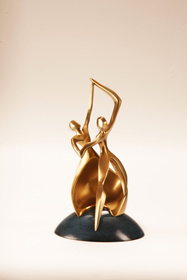 Category: Pet Figurine Keepsakes. Tags: artistic urns, ash urns, boston terrier, boston terrier pet urn, cremation urns, dog urns, double capacity cremation urns, keepsake urns, pet ashes, pet keepsakes, pet memorials, pet urns. Urns By Canneto offers a wonderful selection of the leading dog breeds, Tabby and Seal Point Siamese cats. Each Companion Urn and Keepsake is hand-cast and hand-painted and are ideal for memorializing a loved pet. Companions’ sculptors create stunning realism and attention to detail with poses and expressions that capture the spirit of human’s best friend. This beautiful keepsake displays the rich warmth and feelings of connection to our favorite pet, keeping them close and reminding us of their love. This Companions Memorial Art Pet Keepsake is a shelter for ashes, a shrine and remembrance; honoring and preserving the memory of our lost loved one. It carries our memories forward keeping them alive in time and in our hearts. This keepsake holds approximatly one cubic inch of cremation ashes. 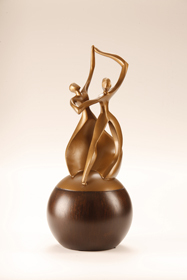 This Dance of Life Memorial Art Urn, created by award winning American sculptor Stephen Canneto, celebrates the spirits of two. 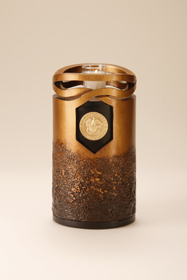 The Companions Memorial Art Pet Urn captures the spirit of friends linked together forever in time. The clasped hands of a man and woman holding the cherished pet, rise from the classic wood like cylinder symbolizing giving and nurturing.